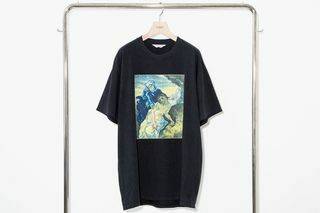 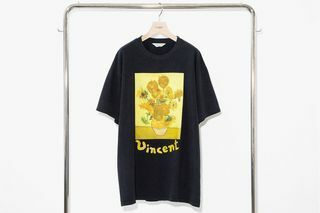 Key Pieces: Vincent van Gogh’s Sunflowers paintings appear on an oversized black tee, while UNUSED has also chosen to add lesser-known van Gogh works to garments, including the haunting Pietà and his dark The Potato Eaters. 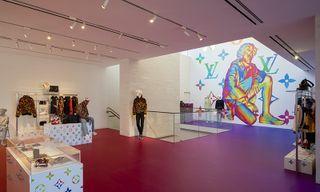 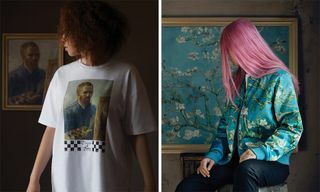 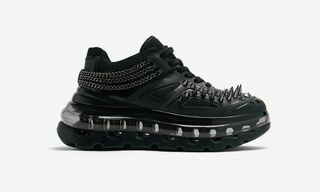 Editor’s Notes: After teaming up with Vans last year, Amsterdam’s Van Gogh Museum has now joined forces with Japanese label UNUSED. 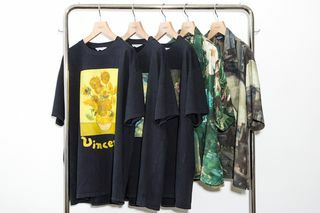 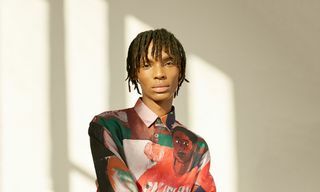 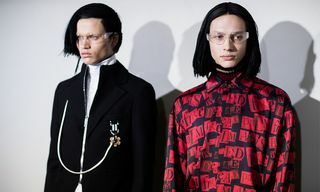 The collaborative selection is part of UNUSED’s SS19 collection, comprising graphic tees and summer shirts all decked out in the Dutch painter’s iconic works. 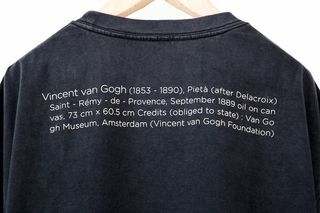 The capsule lets van Gogh’s work do the talking. 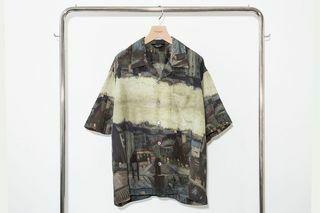 One all-over-print summer shirt samples Small Bottle With Peonies and Blue Delphiniums, while another shows part of a muted Paris cityscape. 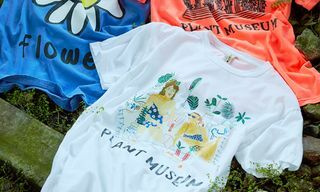 For the tees, the Japanese label has approximated the style of a museum gift shop souvenir. 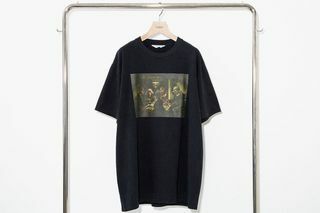 Paintings are placed on a black T-shirt with information about the artist and the specific work on the back in large text. 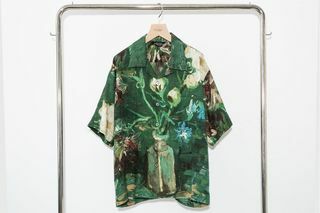 The T-shirts retail for ¥20,000 (approximately $180) while the button-ups cost ¥50,000 (approximately $450).